Editor’s note: As one of the most anticipated releases of the year, “Interstellar” has drawn interest from many of our writers. As such, this article will collect a stream of content on the film – reviews, essays, and other general reactions. Seen the film? Join in the discussion! Leave a comment and it may get added to the master article. Rarely can a director hold his audience’s attention captive for three hours, but Christopher Nolan has made a career out of doing just that. With a childlike imagination (I say that as a sincere compliment), his approach to storytelling inspires a dreamlike and wide-eyed awe in his audience. Painting fantastic visual landscapes without succumbing to the pressure to over indulge in CGI, Nolan’s films have a magical realism, constantly pushing the boundary between technical possibility and speculation. As Nolan’s work continues, his scope becomes larger and larger, with “Interstellar” taking his globetrotting directorial prowess into the heavens. Working closely with theoretical physicist Kip Thorne, Nolan keeps his depictions of space as accurate as possible, while transporting his audience through unknowable depths of hypothetical space exploration. “Interstellar” opens on an Earth ravaged by an agricultural “Blight” (and is so named Blight). Engineers, military personnel, lawyers, businesses; all have abandoned their hopes and dreams in a worldwide scramble to produce enough food to survive. With a dwindling population, and a strengthening Blight, humanity is forced to consider abandoning its home. With a conveniently placed wormhole in orbit around Saturn, humanity has a chance to leave our galaxy in hopes of finding a distant planet, habitable enough to support life. With at least five Oscar winners on the cast, and countless more with nominations, Nolan has surrounded his film with top acting talent. Matthew McConaughey as Cooper, the engineer/pilot stuck on a corn farm; Anne Hathaway as Amelia Brand, the coldly scientific space explorer; and Wes Bentley and David Gyasi rounding out the shuttle crew as Doyle and Romilly respectively, Nolan should have secured an Oscar for himself with the space sequences alone. This, however, is not the case. Known for his severely-lacking and two-dimensional characters, Nolan paints this rag-tag group of space explorers as single-minded action movie clichés – each fitting neatly together like so many puzzle pieces, filling in the gaps that the others leave. Nolan becomes so obsessed with his imaginative weaving of the story that he forgets to give his characters any real depth, or range of emotion. Neatly sewing together loose ends, and answering all presented questions (that can possible be answered), Nolan’s dialogue is incredibly unwieldy and over expository. With such an immensity of imagination in his search for unanswerable questions (relativity, event horizons, worm holes), Nolan has surprisingly little faith in his audience to take similar leaps of faith. Nolan is able to transport his viewers unlike any other director. 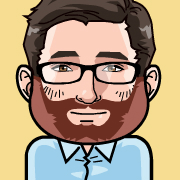 Perhaps making a better video-enhanced roller coaster designer than movie director, Nolan has the power to enthrall huge crowds of devoted fans. “Interstellar” is unlike any other film in terms of both scale and imagery. Taking very direct cues from Stanley Kubrick’s “2001: A Space Odyssey,” much of the film involves exterior shots of the space craft floating to Hanz Zimmer’s adept score in the depths of space. Where Nolan departs from Kubrick’s mastery, is in his need to push boundary of perception and make every moment palpably exciting. Always trying to add moments of tension, suspense, or drama, Nolan forces his audience to watch, mouth agape, at the visual spectacle he is presenting (on actual celluloid film no less). Some of the most emotional shots of the film (for me, an avid lover of space) were the shots of Saturn and the depictions of the black hole – immense and perfectly beautiful presentations of physics and nature. Much of the film acts more like a well (extremely well) done educational piece on the galaxy one might see at a planetarium, or in the dying OMNIMAX theaters dotting the country. Parting ways with his long-standing DP, Wally Pfsiter, Nolan acquired the services of incredible cinematographer, Hoyte Van Hoytema (“Her,” “Tinker Tailor Soldier Spy”) for “Interstellar,” and his mastery behind the camera shines. The visuals that Hoytema and Nolan create for the film are completely unique, and astonishing works of art (when strung together, the individual frames lose a bit of their luster). Nolan, and his co-writer (and brother) Jonathan Nolan, ask a lot of big questions with “Interstellar,” yet provide very little in the way of answering any, or even leaving them open-ended enough to provoke audience discussion. Human will to survive, transcendence of love over dimensional boundaries, global warming/ pollution, extraterrestrial colonization – the Nolan’s pack these three hours with so many issues and inquisitions, yet gift-wrap each and hand them to the audience devoid of any explanation or discussion. Scenes meant to spark an emotional response from the audience are lackluster, and are more nonsensical than heart wrenching. Although Christopher Nolan has outdone himself in terms of visuals, monstrous and detailed sets, research, and even his own imagination, “Interstellar” falls short of achieving greatness. “Interstellar” is a spectacular thrill ride unlike anything you have ever seen, however, the characters and everything that makes it a “movie” feel ham-handed and antiquated. Playing to the extreme of Nolan’s strengths and his weaknesses, “Interstellar” may disappoint some, but will undoubtedly captivate many. “Interstellar” is a sloppy film whose brief moments of humanity are drowned among expository dialogue and sci-fi clichés. Despite Christopher Nolan’s successes, he still hasn’t learned how to use film as a visual medium. His films contain iconic images, yes, but he never allows his visuals to fully take the reins; his characters over-explain every detail, spelling out each beat of his plot for us. Think of the ending of “The Prestige”: when it’s revealed that Christian Bale’s character was actually a pair of identical twins, the two protagonists tie together every unresolved plot point and highlight every piece of moral ambiguity—such as Hugh Jackman’s character killing a clone of himself every night. 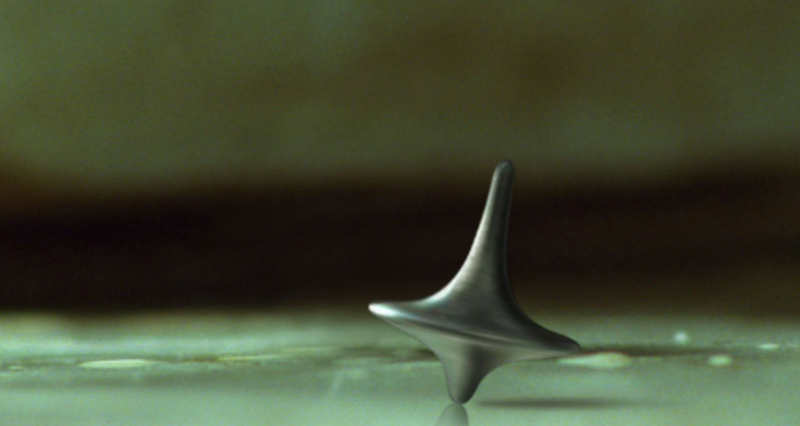 With “Inception,” Nolan seemed to be heading in the right direction. Sure, the first hour of the film is dedicated to explaining the mechanics of the shared-dreaming devices that are central to the film’s plot, but he left the audience with an ambiguous ending. When our protagonist is reunited with his children at last, he spins his top, which spins forever if he’s dreaming and topples if he’s awake. As he’s hugging his children, the camera pans down to the top, still spinning, and the film cuts to black. The message is simple: it’s not important whether or not he’s dreaming—all that matters is that he’s with his children. “Interstellar,” Nolan’s latest film—written by Nolan and his brother Jonathan Nolan—contains no such moments. His characters over-explain his complex plot devices, stripping his elaborate sequences of their poetry and denying his audience the catharsis he spends so much time building towards. “Interstellar” is set in the near future, where crops are rendered useless due to blight, dangerous dust storms are the norm, and mankind has regressed into a techno-phobic society. The earth is a dust-bowl turned up to 11, with everyone becoming a farmer due to the scarcity of food, even former NASA test-pilot Cooper (Matthew McConaughey). Cooper’s son Tom (Timothée Chalamet) is told that he must become a farmer due to his mediocre grades, while his 10-year-old daughter Murphy (Mackenzie Foy) shows an interest in science and space travel. Through a series of supernatural events, Cooper and Murphy learn of a secret NASA installation led by Cooper’s former professor, Professor Brand (Michael Caine). Brand and his daughter Amelie (Anne Hathaway) have a complicated plan to save humanity that requires Cooper’s help. There’s one main caveat though: Cooper has to leave his family for an indefinite amount of time, and he’ll be traveling close to the speed of light and close to black holes, meaning that he’ll age ate a slower rate than humans on earth. At this point, Nolan’s characters clunkily explain the remainder of the plan to the audience by way of Cooper. 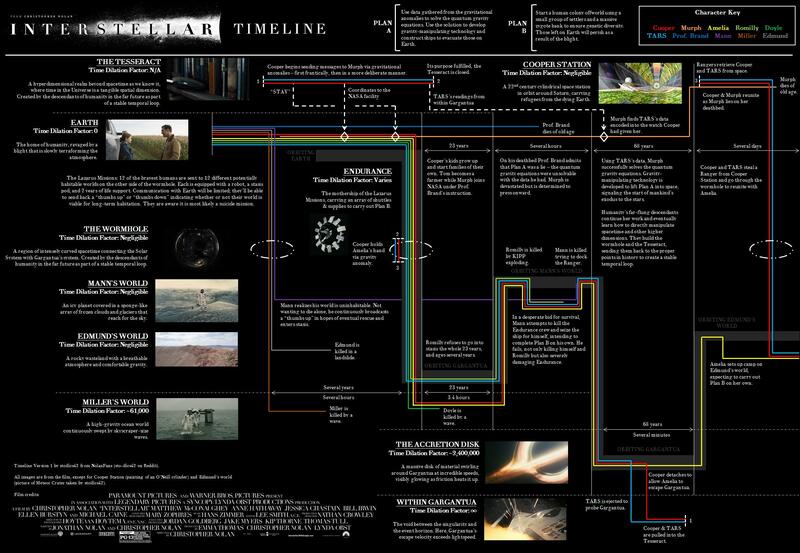 The first hour of “Interstellar” is similar to the first hour of “Inception:” the movie is laying the groundwork for what promises to be an amazing journey, (the central shared dream in “Inception” and the mission in “Interstellar”). “Inception,” though, at least had an interesting science-fiction device at its center that required explanation; “Interstellar” has no such excuse for its sluggish first hour. Nolan shows us wide shots of cornfields, dust storms, and other aspects of this unremarkable future, a future that feels like every other cinematic apocalyptic setting. These scenes are cut short by an action sequence in which Cooper and his kids digitally intercept a surveillance drone. This surveillance drone is never explained, and it doesn’t return later in the film. It adds nothing to the film, and doesn’t even serve to characterize the world that the film inhabits. This scene is completely unnecessary, and merely adds an element of action into an uninteresting universe. Beyond these sequences, we see Cooper go to a parent teacher conference. During this scene, we discover that the general populace—including educators—believe that the 1969 moon-landing was a hoax. Cooper gets into an argument with Murphy’s teacher, who got Murphy in trouble for talking about the moon-landing with her classmates. Cooper gets into another argument with Tom’s teacher after the teacher tells Cooper that Tom isn’t smart enough to go to college, and that he must become a farmer. We also learn during this scene that Cooper’s wife died of a cyst that could have been prevented had MRI machines still existed. Perhaps the most frustrating aspect of this scene isn’t the fact that we’ve seen scenes exactly like this in movies and sitcoms hundreds of times, it’s that we are to believe that the world could truly descend so low so quickly. If Cooper is capable of hijacking a full-sized aircraft with only his laptop, surely someone is capable of building a telescope to simply look at the moon for proof that we landed there, or building basic medical imaging technology. Yes, this is set in an alternate future, but it’s strange to see technology treated as magic in a world where humans are capable of traveling close to the speed of light. Reading a bit about the writing of “Interstellar” reveals that this first hour of the film was a leftover from a previous film that Jonathan Nolan was writing. Christopher Nolan ended up merging this screenplay with an ideal he had for space-travel film, and thus created “Interstellar.” This offers an explanation for this weak beginning section, and it reveals just how disjointed the two parts of the film are. When Cooper finally begins his journey, “Interstellar” certainly picks up, but similar problems persist. Action scenes appear simply for the sake of including an action scene, and the plot becomes predictable: it’s easy to tell which characters are going to survive by thinking about which actors are Oscar winners (sorry Wes Bentley, you never stood a chance). As the film progresses, the screenplay takes more risks. As expected, Cooper’s children age at a faster rate than he does. The first messages he receives from his grown-up kids (now played by Jessica Chastain and Casey Affleck) are a poignant highlight of the film. The concept of time dilation is an intriguing concept, and this scene feels like the first scene in film that understands the dramatic possibilities of it. It’s a surprisingly warm, human moment in this mess of a film. The scene is all the more surprising when you realize how one-dimensional and cookie-cutter our protagonist is. Cooper is defined entirely by his flying abilities and his drive to return to his children. Matthew McConaughey’s performance as Cooper is reminiscent of some of his (fantastic) recent work in “True Detective,” but his shtick of whispering every line is beginning to grate, especially when competing with Hans Zimmer’s typically maximalist score. McConaughey’s Cooper is overshadowed by Anne Hathaway’s Amelia Brand. When she gives a monologue on how love transcends space and time, Hathaway delivers it movingly, despite the cheesy writing. Throughout the space sequences, Hathaway’s character seems to be the only one who understands the magnitude of the situation: the future of the human race literally depends on them. As the film reaches its climax, the film all but falls apart. It’s difficult to discuss without spoiling too much, but let’s just say that Nolan said, “We’re making a science-fiction film…you can’t pretend ‘2001: A Space Odyssey’ doesn’t exist.” Nolan attempts a similar ending to “2001,” in which a character emerges in a super-human plane of existence, but Nolan has neither the patience nor the skill to pull this off. The legendary final scene of “2001” works so well because of its quiet, religious qualities; nothing is spelled out for us, and the scene is all the more mystical because of it. “Interstellar” climaxes with an extremely literal interpretation of a fairly abstract concept, with two characters explaining it all for us. Perhaps the scene would hold more weight without being explained to us in such repetitive detail, but it’s impossible to tell. “Interstellar” is frustrating, all the more so because somewhere buried in this mess is an interesting and original film. Had Nolan cut short the beginning of the film, and if he had the guts to let his often powerful images speak for themselves, “Interstellar” would already be dramatically improved, despite its clichés. What we’re left with is an uneven and predictable mess, with occasional moments of humanity and beauty. There are those, I’m sure, who will positively adore “Interstellar,” who are willing to look past the slow beginning, the condescending exposition and the ridiculous ending; some may even embrace it. I can’t help but feel that the film’s charms are drowned out among the noise. “Interstellar” is great as eye candy, but can’t provide anything more filling. “Interstellar” is Christopher Nolan’s attempt at remaking “2001: A Space Odyssey.” There’s no escaping it. The imagery drips out of every shot, from the father sending messages to children he’s reluctant to leave to the technology involved to the very image of the starchild drifting through space. There’s nothing wrong with this. It’s good to see old ideas brought back out into the forefront of thought and reflected on once more. The trouble is that “Interstellar,” as much as it tries, can’t live up to its inspiration. It gets bogged down in tired – and poorly thought-through – social commentary and a plot with more holes than sense. However, many of the flaws of “2001” can be seen reflected in “Interstellar” as well. This is a three hour film, and it very much feels three hours long. While it lacks the long quiet segments that “2001” has come to be (in)famous for, it does feel like the plot meanders and drags it way to its conclusion. The introduction of the main character, Cooper (Matthew McConaughey), screamed out for a trim, and some segments of the film felt almost like they belonged in another film entirely. The encounter with Mann (Matt Damon), for instance, while a well-done homage to “Heart of Darkness,” often felt like it was put in the film because it was an idea that more or less fit with “Interstellar,” not because “Interstellar” particularly benefitted from its inclusion. 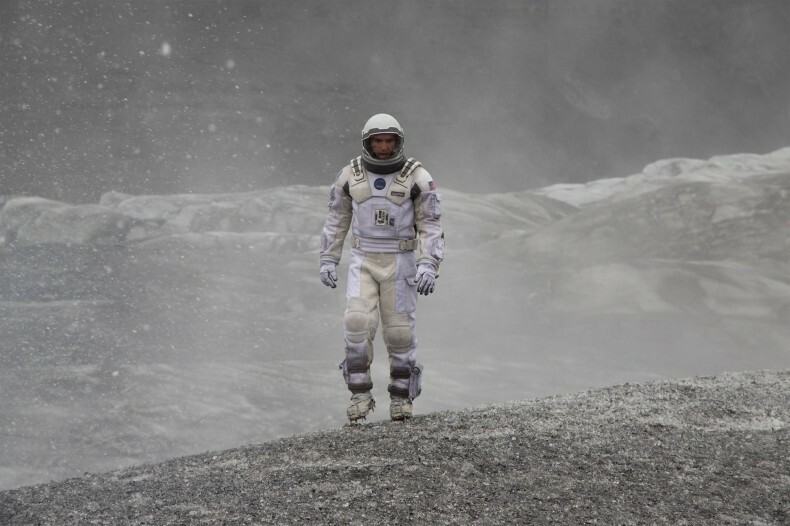 The greatest flaw of “Interstellar,” however, is its unwillingness to focus. In Nolan’s attempt to include social commentary – more blatant social commentary than “2001” – he tells the story first of man versus nature, then of man versus man. The man versus nature plot is obvious and understandable – there is an apocalypse. Cooper and his team must fight against space and time to stop it. It is very much a war against nature. The man versus man plot is also obvious, especially with regards to Mann and the subplot on his planet. However, whereas the man versus nature theme works by creating a great deal of tension and suspense, the man versus man theme seems to exist solely for the sake of social commentary and indeed, to question whether man ought to be saved at all. There is nothing wrong with attempting this either, but once again, it gets bogged down in somewhat bizarre social and political commentary that doesn’t strengthen the film. As an example, the film rails against the idea of cutting funding to space exploration. It does so in a number of ways, first through Cooper stating that it’s wrong to see humanity as “caretakers” rather than “explorers.” It does it as well through Dr. Brand (Michael Caine) as well, scoffing at the idea that at the end of the world, people would rather pay for food than science. Considering that, in the end, the team are indeed caretakers rather than explorers – the fact that Dr. Brand’s (Anne Hathaway) ship ends up stranded on a planet suggests that her exploring days are finished – and that this is seen as a positive thing implies that humanity ought to have a dual role. However, that conflicts with the message presented by Dr. Brand about what humanity’s priorities ought to be. It would be easy to say that Dr. Brand is one character, and that that character’s views do not necessarily reflect Nolan’s, but when there is a consistent message of science as the be-all, end-all of humanity, it is difficult not to see Brand’s views as perhaps reflecting the director’s. Of course, “Interstellar” is not a bad movie. Far from it. Its effects are incredible, and the music fits the ideal of building a modern “2001” perfectly. It is most certainly a film that, if it’s going to be seen, ought to be seen in theatres with sound pumping and visuals leaping off the screen. However, it’s also impossible to overlook its flaws. While it’s beautiful, the plot is riddled with holes, and even the central conflict is contradictory. It feels very much like two scripts jammed together to create an epic without necessarily thinking about whether such a thing ought to be done. It’s beautiful, but it’s a beauty that shouldn’t be looked at too closely, or else it all crashes under its own weight. The overall effect of “Interstellar” upon leaving the theatre is one of awe; despite its flaws, the film as a whole is a visual feast and a dramatic epic that explores the flaws of humanity as much as it does the far reaches of the universe. Critically acclaimed director Christopher Nolan returns to the big screen with triumph, simply displaying what he does best; casting the best people for his characters, giving his audience something to really contemplate, and increasing the scale of his picture just when we thought he couldn’t go any bigger. In terms of ambition and scope, the much-anticipated “Interstellar” is certainly a contender for film of the year. In the not too distant future, Earth is at risk of losing humanity due to a blight pandemic. Great dust clouds sweep across agricultural plains, destroying crops and making it impossible to breathe safely without the use of facemasks. 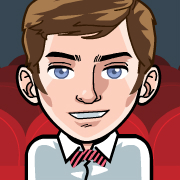 Our hero Cooper (Matthew McConaughey, again playing the wry country man) was once a space pilot and engineer but is now a reluctant farmer, growing the corn that is the only staple left, and living in an Andrew Wyeth-style farmhouse whilst looking after his two children: Tom (Timothée Chalamet) and Murph (Mackenzie Foy). Due to a strange, almost supernatural series of events, Cooper stumbles upon some map co-ordinates mysteriously inscribed in binary code. He and Murph set off in their truck to see where these numbers lead; much to their surprise they stumble upon a secret space research installation, which is all that remains of NASA. Led by veteran scientist Professor Brand (Michael Caine, a favorite Christopher Nolan’s) and his daughter, Amelia (Anne Hathaway). NASA essentially want to send Cooper and a team through a wormhole near Saturn to another galaxy, in order to discover a new, inhabitable world; leaving him to face the impossible decision of whether to leave his children behind and save the human race from extinction, or to stay with his family and let millions of other people die. The weight of the mission to rescue mankind is made apparent through the adversity experienced both in a distant galaxy as well on the planet we call home. “Interstellar” wants to tug at your heart, as well as muddle your mind and is mostly successful at doing so. Cooper’s daughter doesn’t want him to go but he leaves with the promise that he will be back eventually, where they may even “be the same age.” Cooper, Amelia and a couple of other scientists who receive very little character development, along with an ironically more personality-rich robot called T.A.R.S, are blasted into space. As soon as they hit the stratosphere, Caine’s voice begins to recite Dylan Thomas’ poem: “Do not go gentle into that good night”, for the first time of many. From here we can see that the epic majesty and bleak desperation of the journey will not always be allowed to speak for themselves, but instead be unsubtly forced upon the audience. The team pass the couple of years that it takes for them to get to Saturn in cryo chambers and, once they’re through the wormhole, age not at all (thanks to relativity) while back on Earth time continues on. The film’s most genuinely affecting scene is when Cooper, after a misadventure that took him a few hours but twenty-two long years back on Earth, tearfully watches his children age before him in their video messages; little Murph growing into Jessica Chastain, now an astrophysicist herself and Professor Brand’s deputy, but still furious at her abandonment. While the struggle felt by Cooper and his family feels real, occasionally the Nolan brothers’ script pulled just a little too hard. For example, one particular speech by Hathaway’s Amelia is more likely to deliver sniggers than sniffles: “Love isn’t something we invented — it’s observable, powerful, it has to mean something… Love is the one thing we’re capable of perceiving that transcends dimensions of time and space.” And it does, Cooper’s love for his daughter almost converts the whole film into the realm of abstract concepts, despite all of the work that had been put into making the astrophysics as accurate as possible (theoretical physicist Kip Thorne is the executive producer). Bending space and time is compelling and fascinating, but Nolan should have held back on the sentimentality. In a film with two prominent female scientists it is a shame that one finds herself compromised by her emotions. This film is certainly an epic, because every single scene is beautifully and expertly shot: from the flowing fields of corn to alien vistas on faraway planets. As such, it is a shame that Nolan felt the need to add so much unnecessary, insipid sentimentality. The film would have benefited from more room for moments such as where McConaughey tells the robot T.A.R.S. to turn his humor setting down a few notches (the majority of the best lines come from, or are about T.A.R.S.) and let the scenes speak for themselves. But then, the dialogue is only so disappointing in places because the spectacle is just so fantastic. Although, for a film about interstellar travel and searching for other worlds, there is a significant lack of, well, other worlds. We get a grand total of two alien planets, with some gorgeous Icelandic scenery working well as filming locations, but this leaves us wanted more that what we’re given. There is so much story packed into the picture that Nolan could have easily placed at least one more fascinating “interstellar” adventure to another planet, which wouldn’t overfill the adventure aspect of the film at all. The ambitious bravery of this film comes in the form of including some particularly tricky science for the audience to absorb, and so risking people not understanding what is going on and subsequently alienating them, or simply getting uppity because the science isn’t 100% accurate. It is undeniably a difficult line to tread, teetering between incomprehension and derision, but “Interstellar” succeeds in its endeavors. To fully understand the plot one has to take on a certain amount of understanding of relativity, the concept of time as a resource just like fuel, and experiencing the world in dimensions beyond time. Nolan manages to get the basic scientific principles across well enough, so that nobody who is paying sufficient attention will find themselves adrift. Nolan’s long time music composer and collaborator Hans Zimmer triumphs with another wonderful score with “Interstellar.” He creates the thrilling sounds of awe and wonder within the exploration aspect of the film, with some beautiful melodies of strings combined with a heavy organ accompanying the orchestra; whilst switching to somber yet hopeful themes in between the complex stories of our characters carried by a simple piano cue. The score for “Interstellar” is a departure from “The Dark Knight” trilogy, but is unique in its own right and is certainly larger than life. Combined with all the right ingredients; an good cast with stellar performances, great directing with a solid vision, awe-inspiring visuals, along with an amazing score; “Interstellar” is a film that was meant to be seen on the big IMAX screen in the 70MM presentation. There, the film becomes an experience: the screen being so much bigger, in that much deeper frame, with such an engulfing sound system, it is simply much more powerful, not to say overbearing, and therefore becomes an incredibly immersive ride. “Interstellar” is a film that reminds audiences why going to the cinema is an experience. Nolan deserves recognition for his ambition and execution — for trying something a little different. Some may not like it; it might be too convoluted, too simplistic, or just try too hard, but guaranteed it will give you at least one moment where your eyes widen in surprise and wonder. “Interstellar” is undoubtedly one of Christopher Nolan’s most visually intriguing films, thanks to cinematographer Hoyte van Hoytema, but the director’s reliance on expository dialogue and plot-heavy narrative has never been more apparent than it is here. It’s difficult to write a review for a film like “Interstellar,” Christopher Nolan’s ninth feature film, without subconsciously attempting to create something as grand as the picture in question. Nolan is a director who, with each film, seems to expand the possibilities far beyond the limits of any known galaxy, doing so literally in his most recent film. “Interstellar” stars Matthew McConaughey as Cooper, a former NASA pilot who makes a living as a farmer in a nation hit by an ecological disaster. A lack of food and increasingly aggressive weather conditions has forced the world into a modified system of government, one that denies the 1969 moon landings and separates high school students based on their aptitude for either farming or engineering. Coop lives with his daughter Murphy (Mackenzie Foy), named after Murphy’s law, and his son Tom (Timothee Chalamet), who is projected to study agriculture at the university level. Coop has also stayed close with his late wife’s father, Don (John Lithgow), who takes care of the kids when Coop is at work. A series of strange occurrences in the household involving, according to Murphy, the ghost of her mother, leads Coop to discover a series of coordinates that lead them to an unknown location in the mountains. They approach a locked fence, and when Coop tries to break in, they’re escorted in by a mechanized security bot. It turns out they’ve accidentally stumbled upon the hidden headquarters for NASA, a now-defunct administration. The small group of scientists left are led by the legendary Professor Brand (Michael Caine) and his daughter Amelia (Anne Hathaway). Coop, who was the best pilot they had ever seen, is asked to go on a mission spanning many galaxies in order to find a new home for the people of Earth, a planet that is dying a slow death. Coop agrees, reluctantly, well aware that he may never see his children again. The mission is, simply enough, to compile the data of past explorers and determine whether or not a solar system, accessible only through a mysteriously placed wormhole, is home to any planets suitable for mankind. If there are, the human race has a chance at being saved from extinction. At 169 minutes, “Interstellar” is Christopher Nolan’s longest, and most ambitious, film to date, expanding in the ways “Inception” compresses, and embracing the fantastical comic book elements of the “Dark Knight” trilogy. Nolan is one of the most powerful human beings in Hollywood today, with a devoted fanbase, sometimes hostilely so, who will go anywhere their leader takes them. Instead of exploiting his fans and robbing them of their time and money, Nolan has devoted himself to making intelligent, enjoyable blockbusters worthy of both intellectual discussion and a casual night at the movies. For this reason, Nolan will almost undoubtedly go down in history as one of the most influential directors of his time. However, his seemingly limitless creative control has lead him to a peak of self-indulgence in a film that highlights his best work as a director but absolute worst as a writer. Stuffed with expository dialogue but void of almost any character depth, “Interstellar” suffers terribly from being a movie about love with no discernible heartbeat. The film boasts Nolan’s most accomplished casting work yet. From McConaughey’s simple-yet-sophisticated Cooper to the miniature force of nature that is Mackenzie Foy, “Interstellar” is never short on talented, engaging screen presences to carry viewers through this three-hour odyssey. Nolan’s collaboration with composer Hans Zimmer may be the best work they’ve produced yet. Zimmer’s score is haunting, quiet, gorgeous, and the exact opposite of what you’d expect a Hans Zimmer “Interstellar” score to be. Gone are the booming drums and chants of “The Dark Knight Rises” or the heavy violins of “The Dark Knight.” In their place is something far more introspective and pensive, filled, like many of its characters, with wonder about what lays beyond the horizon. Zimmer reportedly wrote the score without having even known what the film was about, and the result is almost eerily harmonious. His more recent work has a tendency to be problematically sentimental, relying heavily on theatrics when, musically, there isn’t really anything interesting going on. It seems that being forced to write a score with no point of reference forced him to create something truly original, and the result is a collection of work that is as brave and curious as the characters it represents. However, the Nolans’ intermittently passable script work seems far more interested in having actors explain scientific concepts to an audience than it does in telling an exciting, humanistic tale of perseverance, love, and the exploratory spirit of mankind, which it claims to be more times than it actually is at any given point. There are some touching moments, like having Cooper watch years of transmitted messages from his family, but they never have the impact they should. Nolan has always been a skilled dramatic director, but his emotional beats often feel robotic and stiff. “Interstellar,” particularly, doesn’t have a fraction of the impact that it should because the strong character work and properly executed emotional beats are just not there. The film also suffers from a third act that threatens to undo the deliberate pacing and strong visual work of the first two hours. Nolan does right by not involving any conscious antagonists, leaving Coop and his crew to fight against an environment they’ve never encountered, which ultimately results in a more dramatically satisfying arc. But early in the third act, Nolan introduces a secondary character who seems poised to offer some insight into the many questions posed throughout. It becomes obvious quite quickly that Nolan is simply using him as a way to include some wholly unnecessary action sequences, and from that point on the film embarks on a downward spiral that it never quite recovers from, all the way through to its hopelessly predictable, if visually intriguing, climax. More than any other Nolan film, “Interstellar” will doubtless receive an overwhelming wave of praise from the director’s die-hard fans. It’s too epic, too gorgeous, and too thought-provoking not to be. Unfortunately, “Interstellar” is also the one Nolan film that, for all of its strengths and flaws, deserves the most discussion. Like very few films, “Interstellar” deserves criticism for everything it does right and the many things it does wrong. It’s nowhere near Nolan’s best, but it does signify a massive shift into more introspective, even experimental, territory. Judging by the risks Nolan takes here, the best is still yet to come. Ambitious in theory yet reserved in execution, “Interstellar” doesn’t live up to the promise of its story, but does take one small step for sci-fi blockbusters. It’s refreshing to see one of the biggest blockbusters of the year and recent memory is one that is actually interested in exploring unmapped territory. In terms of sheer originality and willingness to go the distance, “Interstellar” wins big points for sticking to its guns. Unfortunately, a great deal of this exploratory spirit is undone by Christopher Nolan’s apparent instinct for relaying every single plot point to audiences in excruciating detail. The film’s first twenty minutes do an excellent job of establishing a foreign future world very similar to our own through a myriad of subtle changes. Yet the dialogue in these same twenty minutes is frequently atrocious. It is clunky, cliché-ridden, and gets tiresome fast. Every sentence uttered is weighed down significantly by an invisible sign which shouts “EXPOSITORY INFORMATION!” This insistence upon directly expository wording is distracting at its best and outright irritating at its worst. I never thought I would have to sit through a film with such interesting and different ideas for a blockbuster sci-fi that thought it could earnestly get away with such horrendously overused lines as “You were the best pilot we had,” or “It’s not that simple.” That being said, once these twenty minutes have finally passed, “Interstellar” proves to be a somewhat different beast. We finally see space after so much talk of it, and there are moments of beauty, but only too-short lived. When the first bout of silence hits, Nolan’s claims of the great influence of Kubrick’s masterpiece “2001: A Space Odyssey” become far more apparent. Then the moment passes without enough time to really reflect on this empty space. Time after time it was the film’s choice to cut such moments of pure cinema to pieces in favor of grandiose action set-pieces that kept it from transcending the realm of sci-fi action blockbusters. One can’t help but feel that Nolan might have made an even more ambitious, game-changing film were he not so afraid of ambiguity. The film is certainly ambitious as it is, yet leaves something to be desired. Relating space and love as similar concepts is fantastic, but comes across here as ham-fisted. Space and love are both so vast, strange, and often hard to comprehend, but Nolan kills the mystery which makes both so fascinating. “Interstellar” suffers because of its writer’s relentless need to elaborate every idea through dialogue and dialogue alone, rather than supporting those ideas cinematographically. As the film goes on, this does change to a degree. Unfortunately, this change only happens in the sense that more visually striking imagery is allowed to make its way to the screen without any decrease in the levels of very literal explanations. A great deal of the cinematography exists for the sole purpose of pointing to the dialogue through a series of shot-reverse-shots. Even when there is no talking to show, shots of space travel rely on far too many instances of vehicle-mounted perspective shots. These might not be so bad if they weren’t so prominent. Editor Lee Smith (who has worked with Nolan since 2005’s “Batman Begins”) ensured their prominence. On more than one occasion, there are well-executed montages of multiple synchronous events set to the rhythms of a character’s short monologue. They work because the relationship between what is heard and what is seen is not crystal clear. They allow for brief moments of mystery. Had the ending montage of this type allowed for such mystery, it might’ve amazed. Instead, each shot only serves to wrap-up virtually all loose ends. It opts for what has effectively become the Christopher Nolan trademark ending: shots of people revealing small twists which might allow for a sequel while the Philip Glass-esque organ of Hans Zimmer’s score swells into its final crescendo. It’s not a bad ending by any means, but it is growing too familiar. Christopher Nolan is a hero. Sneaking big ideas into blockbuster films isn’t something that others merely fail at — it’s rarely even attempted. For every person who walks into a Michael Bay film ready to turn their brain off, another walks out of a Nolan film ready to turn theirs on. For evidence, look no further than the rash of diagrams and infographics generated in the wake of 2010’s “Inception,” or the similar by-products now invited by “Interstellar.” Though his execution of such grand aspirations prompts some of the most contentious discussions known to film fans, the beauty of his ambition cannot be understated. Having already tackled memory, magic, and dreams in older films, Nolan goes even bigger with “Interstellar,” which sees him shift his focus from the Dark Knight of Gotham to the dark night of outer space. On a dying Earth, ravaged by sandstorms and a disease called Blight that is killing off all sources of food, Matthew McConaughey stars as Cooper, a humble farmer struggling to keep his crops alive. Not quite so humble is his past: when he and his daughter, Murph (played as a child by Mackenzie Foy), accidentally stumble across an undercover NASA base, it is revealed that he was once a highly renowned pilot. Given his considerable skill with aircraft and mankind’s considerable need for a new home planet, NASA decides to send him into space. Cooper and his crew, including Anne Hathaway and David Gyasi, must navigate a wormhole to examine potentially habitable planets that are orbiting a black hole in another galaxy. And that’s just the easy stuff. Let’s get one thing straight: “Interstellar” is a good — not great — film, wherein each flaw has an appropriately Newtonian counterpart that makes up for it. The script is full of great ideas, underserved by expository cheese, delivered expertly by some of today’s greatest working actors. For every typically flat and unimaginative shot, we get one where DP Hoyte van Hoytema (who shot “Her” for Spike Jonze last year) outshines his predecessor, Nolan’s previous go-to cameraman Wally Pfister. The transit of the team’s ship in front of Saturn, a mere speck floating in front of a planet that fills the entire screen, is one of the most beautiful shots this year. It provides a better sense of the universe’s humbling scope than any of the previous scenes where Earth spirals away in the background. The score sees similar trade-offs: for every line of dialogue that Hans Zimmer obnoxiously drowns out with his deafening battering ram of an organ, he stumbles upon moments of magical, swelling beauty. It’s a series of cinematic checks and balances, but to quote another recent McConaughey role, Rustin Cohle of “True Detective”: the light is winning. Perhaps the most interesting thing about “Interstellar” is that, with a single scene, Nolan unwittingly diagnoses his greatest obsession, and the biggest problem with his screenplay. In a moment of frustrated clarity, Murph (played as an adult by Jessica Chastain) tells NASA’s Professor Brand (Michael Caine) that the formula he has been puzzling over for years will never work because it is “recursive nonsense”. A look back over Nolan’s filmography reveals a similar propensity for closed loops and self-reference. Even visually his worlds circle in on themselves, from the folding city streets in “Inception” to the toroidal space station here, but nowhere is it more apparent than in his writing. What better subject for a man with such obsessions to tackle than time travel? The problem isn’t that Cooper enters a black hole and creates a temporal paradox by talking to his daughter across time and space (this is science fiction, after all). What falls flat is all the sound and fury along the way to justify the events and tie them into the film’s greater themes. Nolan’s films have never been about the straightforward setting up of pins to knock them down; “Interstellar” merely takes it to the next level. It knocks down pins, and then shows how the pins were made, how the pinmaker’s wife died, and finally, how it came to be that they were knocked down in the first place. Though this highly interwoven style of storytelling allows for intricate games of narrative connect-the-dots, it also often manifests as clunky foreshadowing and — as the most rabid detractors are quick to call out — plot holes. Nonetheless, it seems misguided to fault Nolan for trying to make Smart Dumb Movies. Here is a man who thinks (rightly so) that black holes and time dilation are fascinating concepts; actual science that sounds more like fiction. Here is a man who, in his enthusiasm to share these ideas with the masses, has a tendency to dress them up in spectacle and, yes, over-explain. If the scripting issues of “Interstellar” can be forgiven, though, what is left is a film that feels as big and full of wonder as the murky expanse it explores. Given the galactic matter of the film and Nolan’s self-appointed role as society’s cinematic science teacher, it seems duly pertinent to invoke Walt Whitman’s poem, When I Heard the Learn’d Astronomer. The narrator of the poem, disillusioned with hard facts, steps outside to marvel at the unquantifiable expanse above him. It’s not a stretch to envision most modern moviegoers in this scenario, tired of thinking and ready for something big and exciting. Nolan seems to understand the importance of guiding them back inside — but only after staring skyward with them for a moment.